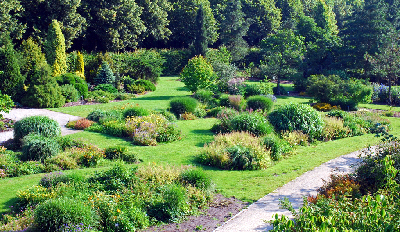 The garden is part of a larger recreational park and has a surface of about 6 hectares. It was started around 1980, with a modest collection of indigenous woody plants. Since then, the collection has steadily grown to over 9000 specimen, with an emphasis on Camellia, Rhododendron, Viburnum, Magnolia and Geranium. Every season has something to offer. In spring you can admire the stunning flowers of Magnolia and Rhododendron. In summer the hardy plants steal the show, and a few months later you can enjoy the magnificent autumn colours of Liriodendron or the flowering Camellia sasanqua. 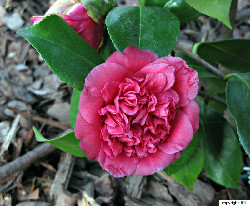 Even in wintertime, some plants are blooming and at the end of winter, the first flowers of Camellia appear. The garden takes pride not only in the large collection, but also in the environmentally friendly maintenance. The scientifically accurate labelling of plants is another characteristic of the garden. There is a small reception centre, with an exhibition. 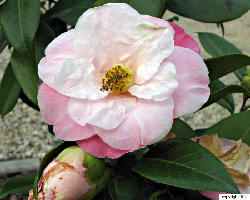 There are over 1250 specimens of Camellia present. The emphasis is on botanical species, Higo camellia and historical cultivars of Belgian origin. Gentsesteenweg 80, B-9900 Eeklo, Belgium.